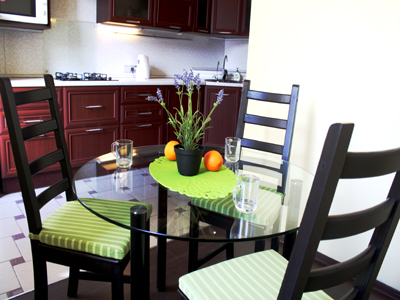 Apartment is located very close to Moscowskiy railway station and Nevsky prospect. four sleeping places: euro-standard double bed in the bedroom (it can be transformed into 2 standard beds instead of 1 king-sized bed) and double sliding sofa in the living room. There is a lot of bars, shop and city molls (Galerea and Stockmann).